If you can’t stop thinking about amazing food, exciting excursions and Insta-worthy pics, then you’re probably craving a vacation. Badly. But if tourists, crowds and lines make you anxious, why not take the road less traveled? Here, the best destinations, for an off-the-beaten-path vacay. 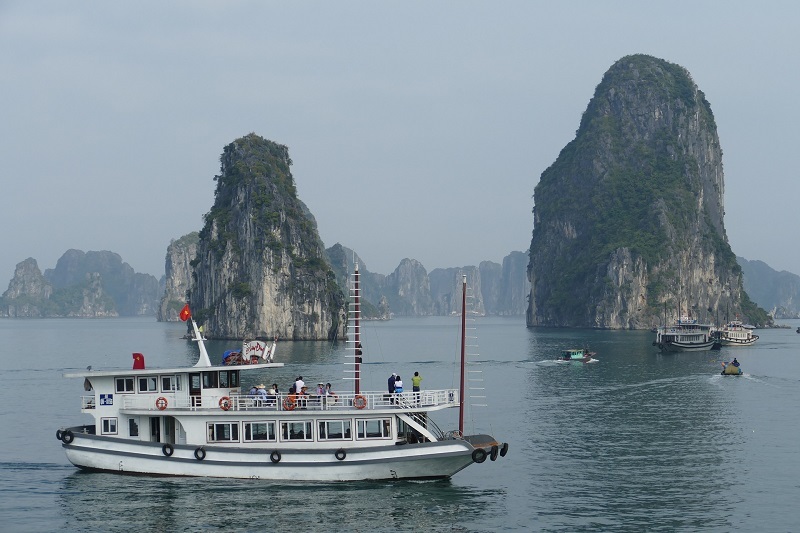 No doubt, Halong Bay is the premier destination for visitors when to northern Vietnam. The karst seascape of Halong Bay is one of the world's most spellbinding sea views and is a UNESCO World Heritage Site. Thousands of limestone islands sit within this bay in the Gulf of Tonkin, eroded into jagged pinnacles by wind and water action over millennia. With the bay's scenery best seen by boat, this is prime cruising territory. Opt for at least an overnight tour to see Halong Bay's iconic views as a day trip doesn't do it justice. There are plenty of caves in the bay that can be entered including the Hang Sung Sot, with three mammoth caverns, and the Hang Dao Go, with superbly weird stalagmites and stalactites. For most people though, the highlight is simply cruising amid the karsts and soaking up the changing scenery of pinnacles as you pass by. This is a destination for travelers looking for adventure journeys in the spectacular mountains of northern Vietnam. The Dong Van Plateau starts just north of the city of Ha Giang, about a six-hour drive from Hanoi. It is a spectacular part of the remote, mountainous region of Vietnam’s far northeast. Spectacular terraced rice paddies climb to the summits of the surrounding mountains, extending beyond the horizon. Further exploration uncovers more gems: Southeast Asia’s deepest canyon, 22 ethnic minority tribes, pristine lakes, pine forests, stone forests, caves bristling with undisturbed formations, and incredible waterfalls are just a few of the many treats that await the intrepid explorer. 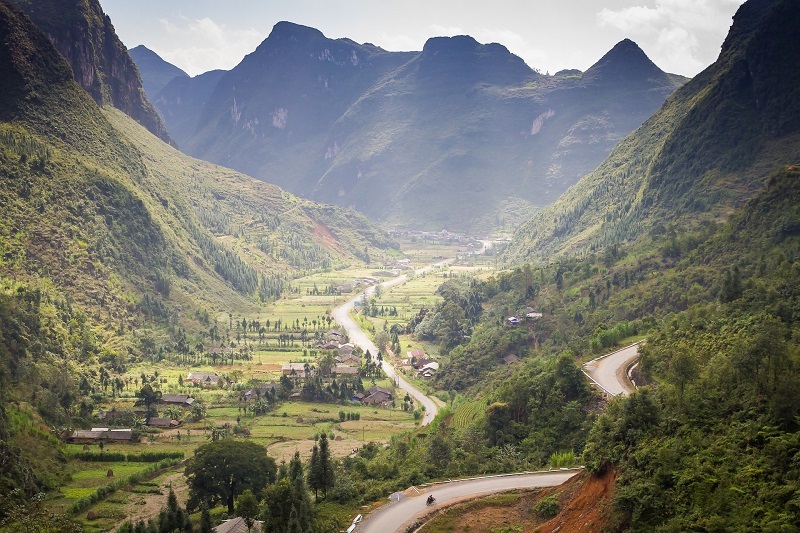 Mai Chau is the first town along Vietnam’s gorgeous Northwest Loop. You can stay in an ethnic Thai stilt house and explore caves and waterfalls in the rich, hilly terrain where rice is cultivated by the minority people. Mai Chau can be visited as a day trip from Hanoi, or it can be combined into a longer journey with the more remote towns of Moc Chau, Son La, and Dien Bien Phu, returning through Sapa and back to Hanoi for a five- to seven-day adventure. Ninh Binh is a very worthwhile place to visit, located 90km from Hanoi, which has similar karst formations but set among rice paddies rather than sea water. 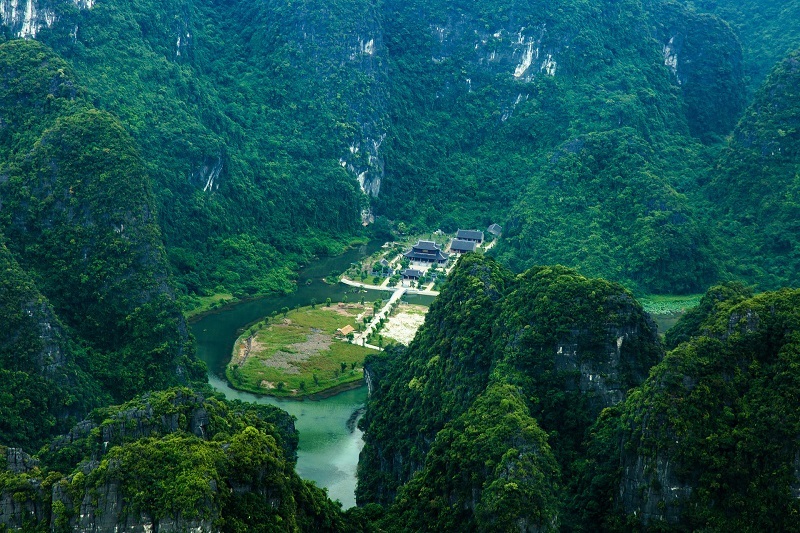 Take a ride on an aluminum rowboat paddled by local village women and marvel at the rugged karst terrain, mountain goats, and lush foliage as you glide along peaceful river waterways through a series of dark grottoes. One of the world's best caving destinations, World Heritage-listed Phong Nha-Ke Bang National Park is a dramatic karst mountain formation honeycombed with huge caverns, which are home to superb stalactite and stalagmite displays. The most popular destination within the park is the Paradise Cave, which extends for a staggering 31 kilometers below ground. The yawning caverns here are truly spectacular. Tu Lan Cave is a "wet cave," and a visit here includes swimming through the cave-systems river. The other most popular excursion is to the Phong Nha Caves, where the interior is accessed by boat. You can access Phong Nha-Ke Bang National Park from Son Trach. 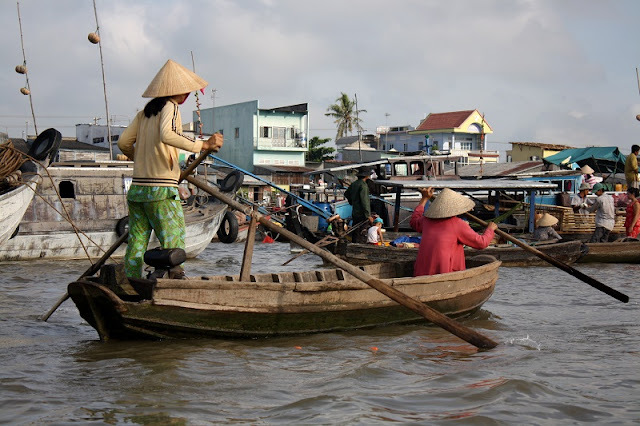 The far south of Vietnam is where the mighty Mekong River finally finds its way to the sea in a maze of waterways that crisscross the floodplain. Incredibly lush, with paddy field vistas and mangroves, and full of local life, with chaotic floating markets to explore by boat, the delta is one of the most interesting regions for travelers to discover. Can Tho is the most popular town to use as a base as it's close to the floating markets of Phong Dien and Cai Rang, while boat trips from Ca Mau allow you to explore the U Minh Mangrove Forest and Cau Mau Nature Reserve.